2017 has turned out to be a milestone year for Clark Associates. For the first time we hit $1 billion in revenue. With strong performance and sales across our multiple divisions, we are proud to have moved to the 2nd place slot in Foodservice Equipment & Supplies Magazine's 2017 "Distribution Giants" study. We had been in 4th place since 2014. Now that the WebstaurantStore’s 350,000 sq. ft. Durant, Oklahoma distribution center is fully operational, it has helped us reach our Midwestern customers faster. Likewise, our Baltimore distribution center has helped fulfil orders for all Clark channels up and down the east coast. We’ve also expanded our product selection by adding over 10,000 office supplies to the site, and 60,000 replacement parts. We’re always searching for new products and categories to grow into, to provide more of a one-stop-shopping experience. 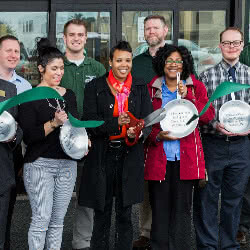 Clark Foodservice Equipment completed 165 jobs in 12 states and even one in Belize, while the Turnkey division also expanded its demographic, working on projects in 14 states and as far west as Arizona. 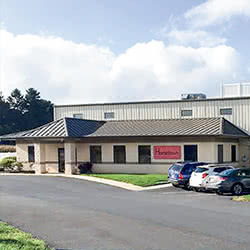 We also moved our Lancaster equipment staging warehouse to a larger space in Brownstown, Pa. to better meet our needs. 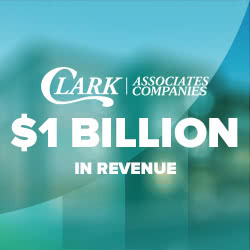 Our ClarkPRO division had its highest growth year ever, with remote market sales growing over 90%. Looking ahead to 2018, we plan to open up other ventures to continue strengthening our product mix and distribution solutions. For example, we will be welcoming Hometown Provisions, a Lancaster County Pa. based broadline distributor into our family of companies, and look forward to working with them. We also have plans to expand into light food packaging as part of our Regal Foods brand. Due to our continued rapid growth, we are planning a 500,000 sq. ft. expansion of our Kentucky distribution center as well. We’re also rolling out a new home-grown ERP program that’s used companywide for everything from accounts payable to distribution and procurement. I’m also proud of our employees’ generosity in both volunteering activities and financial support for all of the communities across the country where we have a physical or business presence. We supported over 100 different organizations in 2017, with approximately $1.5 million in donations between employee donations and Clark Charitable Foundation contributions. As always, I’d like to thank our 2200 employees for all their hard work. For example, 23 more employees have achieved the CFSP credential. Feel free to visit our Careers page if you would like to learn more about becoming part of our future success and growth!